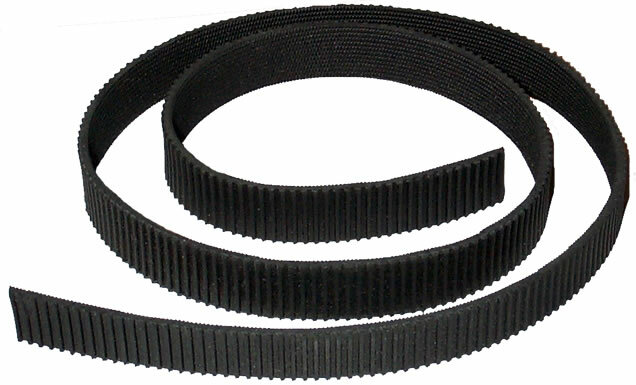 Fine rib black rubber for making new ball mill tyres, or retreading worn tyres. The ribs run along the short dimension. The rubber strip is cut to a length slightly shorter than the circumference of the jar. With the ends touching, it should be slightly stretched so it is tight around the jar. Cyanoacrylate glue (superglue) should be used to bond the ends together. Hold the joint in firm compression for at least 90 seconds and allow 3 hours before fitting, the glue will dissolve the rubber to form a strong, but flexible joint. Any excess that is squeezed out of the joint will be brittle, and can be chipped off with a blunt knife. Once set, the joint should be tested by firmly pulling to load the joint in tension. The tyre should be test fitted to make sure it is tight on the jar. 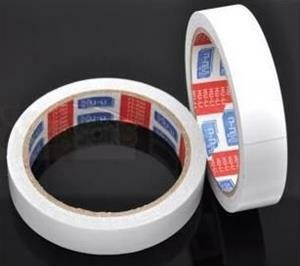 20mm wide double sided adhesive tape should be tightly wrapped around the intended location of the tyre with an overlap. Clean the inside of the tyre and fit over the tape using a progressive lift and slide motion to avoid dislodging the adhesive tape. Once fitted, press the tyre firmly into the jar to secure the bond.